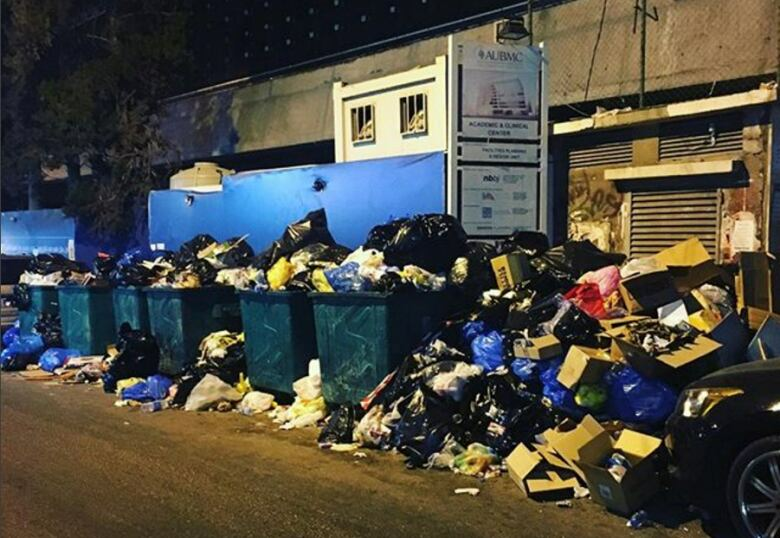 To say Lebanon has a trash problem would be an understatement. In 2015, when landfills were bursting, the garbage spilled onto the streets. The civilians did too — in protest. After that, the trash was put out of sight. But that didn't mean the problem was solved. 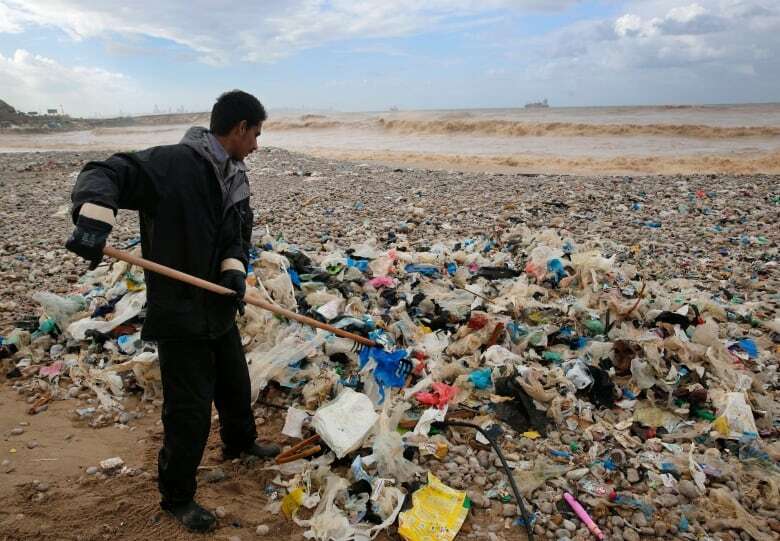 When it rained in the city of Beirut last week, locals woke up to a river of trash slithering between their houses. 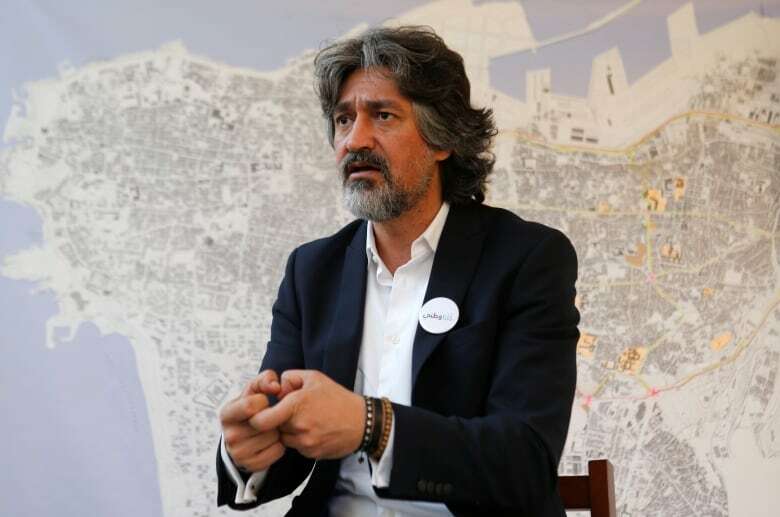 Beirut political activist Gilbert Doumit spoke with As it Happens host Carol Off about the city's trash problem. Here is part of their conversation. Where is all this garbage now? 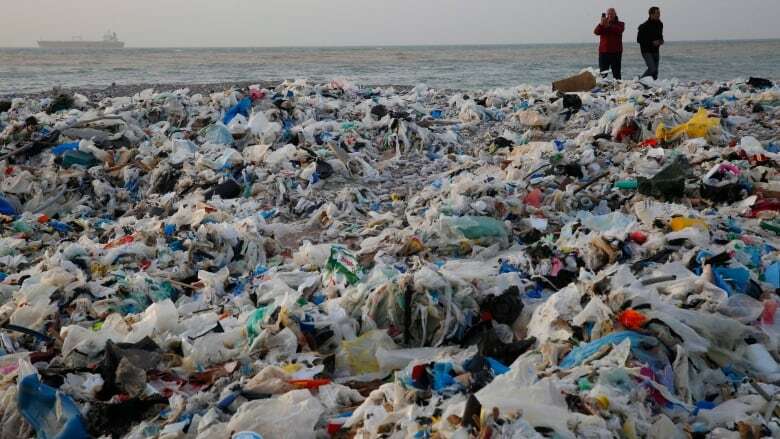 All of our garbage is being dumped in the sea — particularly we are talking about the capital of Beirut, which is almost 60 per cent of the population. How much garbage are we talking about here? We're talking approximately 850 million tonnes. And is it coming back on your beaches? Absolutely. So last year, reports from different labs show that we have a highly-polluted sea. And there was a lot of [advisories] not to use the sea. Before you started dumping in the sea, you filled your landfills. People had no place to take their garbage. It was filling the streets after rains, streaming in rivers down your streets. How awful is this situation, especially in Beirut? In 2015, when the deal with the company that was supposed to be collecting and managing our waste was done because of poor governance, corruption, and mismanagement, it has filled the streets for almost a year. As a transitional solution, the government contracted another company to collect the garbage. But then they throw it in the sea. The smell of the garbage in the evening fills the city. It is a really bad situation. Unfortunately, the government is not taking any serious measures to solve it. Are people putting pressure on the government to do something about it? Last month, at least three protests were on the streets calling for a solution. Two weeks ago, they passed a law for solid-waste management. Unfortunately, it's a bad law. It's a law that allows incinerators rather than having a full, sustainable, environmentally-friendly solution for our waste. Why wouldn't incinerators work for your city? There are three problems with incinerators. First, in Europe — and in Canada, for example — it's the percentage of waste that goes into the incinerators. There's a lot of separation at the source, and then a second separation, and treatment of all recyclables and organics. And then what remains goes to incinerators. In Lebanon, the only solution in place, effectively, is to have incinerators. Second problem: [The] type and standards and which generation of incinerators are very costly that we are putting in place. Our government so far is not capable of managing most sectors. It requires filters and a lot of maintenance so that what comes out of it is carcinogenic. Our government is not credible and there's no trust. And the third problem is ... we're not doing anything to reduce waste. We're just putting an incinerator in and burning everything. The residues of it, where's it going to go? And they're putting it within populated areas. What efforts are being made to encourage people to take responsibility for the garbage? I can tell you that the Lebanese citizens today are already ahead of the government. Many neighbourhoods have already started separating waste from the source. Many of them have already contracted companies to recycle — at their own expense, because of the level of consciousness for a healthier and more environmentally-friendly life. Isn't that the Lebanese way that you solve your own problems without relying on your government? It might be the post-modern state. We know how to live without the state in all different sectors. But this is not sustainable. We need a government that is capable of providing basics for its citizens. Written by Sarah Jackson and Kevin Ball. Interview produced by Sarah Jackson and John McGill. Q&A edited for length and clarity.